The Swipe and Drive logo means the vehicle is ready to go. Why wait when you can drive away today. 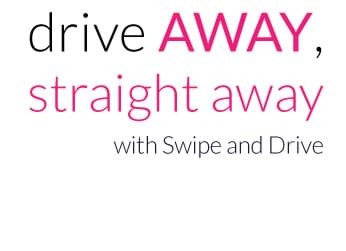 The Sixers Group Swipe & Drive means you can drive away today in your new vehicle. Working hard to fully prepare all our vehicles to the highest standards, Swipe & Drive vehicles are ready to drive away the same day. We call it Swipe and Drive. We like our cars ready to go, meaning should you need the vehicle today you don’t have to wait. Even when taking out finance you can still drive away the same day without the pain and strain of waiting. All our cars undergo strict inspections and checks with necessary work carried out as a result of those checks. Our workshops comply with the high standards set out by The Good Garage Scheme (see customer comments on our Workshop page) giving our customers piece of mind the vehicle they are buying is prepared to the highest level.